The Volunteers drew back the bolts of their .303 Lee Enfield rifles before pushing them home, the bolt head stripping a bullet from the magazine, loading the projectile into the breech. From their concealed position in the Rose cottage, they took careful aim as the convoy entered the kill zone. In the darkness of the night, the men waited with bated breath for the signal to open fire. The column of lorries came to a halt in the middle of the street, the tailgates of the trucks dropping with a bang as the Tans debussed from the vehicles. A section moved forward towards the crossroads in line with the Volunteers’ position. As they approached the C.P. Commandant Séan Mac Eoin ordered them to halt and surrender. In response to this request, the Tans raised their weapons and prepared to open fire. However a blast on a whistle signalled the command to engage and a volley of rifle fire erupted from the cottage. The opening barrage was followed by a blinding flash and a loud bang as Volunteer Seamus Conroy pitched two Mills No. 4 grenades into the centre of the convoy. The battle of Ballinalee had commenced. 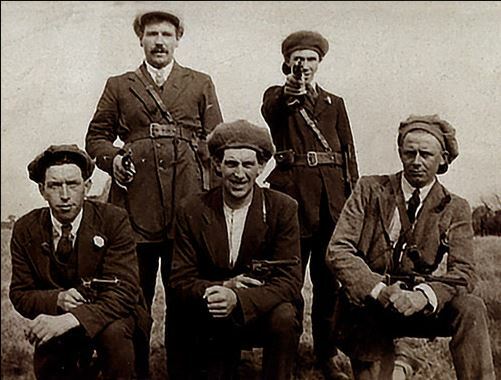 Constable Peter Cooney was also shot dead in the county, angering members of the R.I.C who in turn bolstered by a number of Black and Tans, planned to carry out a number of reprisals in the area. An attempt to burn buildings in Granard was thwarted by a platoon of Volunteers who opened fire on the Tans, forcing them to return to barracks in the town. Information was then received that the village of Ballinalee was to be targeted and destroyed. Commandant Séan Mac Eoin of the Irish Republican Army and a native of Ballinalee immediately organised his forces and began to put the town in a state of defence. Built on a crossroads, Ballinallee extends from north to south, with the main Granard to Longford road intersecting in the centre of the village. The Protestant church is located towards the south, while the Catholic church is situated at the northern end close to a bridge spanning the River Camlin. Mac Eoin could not determine which direction the enemy attack would come from, forcing him to divide his forces into five units. Mac Eoin’s overall plan envisaged the crown forces arriving from the Granard direction, being attacked from the Rose Cottage detachment and then closed in by the outlying parties. This would ensure that all access and egress points would be secured. Scouts were detailed to watch the approach roads for any signs of enemy activity. News of the attempted attack in Granard spread to Ballinalee, prompting many of its citizens to evacuate the village. 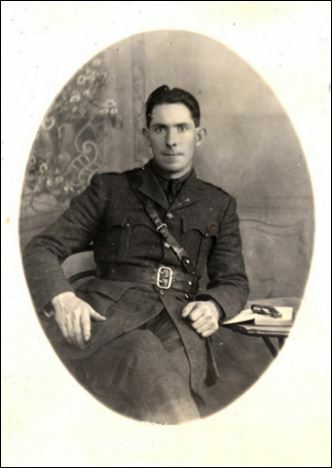 By 21.00 hours on the night of 2nd November, Mac Eoin’s men were all in position and awaiting an attack. An outlying observation post reported that there was a red glow visible in the sky over Granard. Further investigation revealed that an enemy convoy of eleven lorries was heading towards Ballinalee. Commandant MacEoin alerted his post and ordered his men to prepare for action. As the convoy drove into Ballinalee village, ten lorries turned right into the main street, their headlights cutting through the darkness. 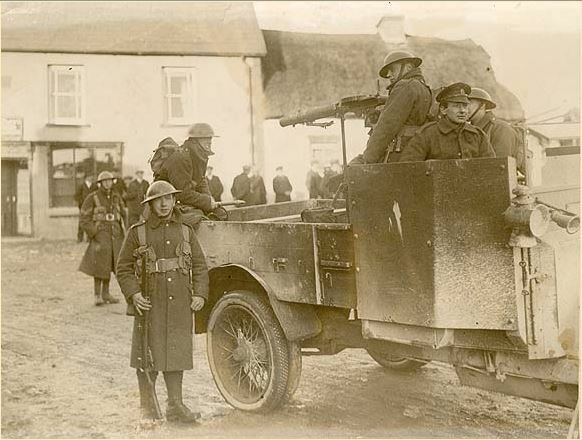 The eleventh lorry stopped momentarily on the Granard Road as the Vickers machine gun crew located in the rear of the vehicle covered their colleagues as they debussed from the trucks. Moments later, the lorry moved into position opposite Rose Cottage, the gun crew scanning their arcs. Commandant Mac Eoin’s order, the blast on the whistle and the volley of gunfire was lost in the devastating explosions of the grenades. The drivers of the vehicles cut their lights as rifle fire erupted in the narrow street. The machine gun crew traversed their weapon and opened fire on Rose Cottage, the impacting rounds sending up plumes of brick dust. Shattering glass and the resonating ping of bullets off metal resounded throughout the street. Flashes of gunfire lit up the night sky as each side tried desperately to locate enemy firing points. Further up the street, the Tans opened fire with a Lewis machine gun bringing more fire power into the fight. Empty cartridge cases were ejected at speed from the weapons, the only respite for the Volunteers being the change of belts or in the case of the Lewis, the change of the pan magazine. In the heat of the battle amidst the confusion, Crown Forces incurred a blue on blue situation when they opened fire on their own men. During an impromptu ceasefire, Commandant Mac Eoin once again called on the Tans to surrender to which they asked what the terms were. When the Volunteer commander demanded an unconditional surrender, the Tans refused to which Mac Eoin replied ‘that it was now a fight to the finish.’ Gunfire cut through the air once again, the zip, zip of bullets and the muzzle flashes the only way of determining where the fire was coming from. Mac Eoin realised that his men were running short of ammunition and that the outlying parties should be called in to reinforce his post. Though he sent word none of the outlying posts came, placing Mac Eoin’s section in a serious predicament as each man was down to his last five rounds. While Mac Eoin ordered his men to conserve their ammunition, the firing died down and sporadic shots echoed throughout the early hours. Just before 05.00 hours, the sound of engines roaring to life alerted Mac Eoin to the fact that the Tans were pulling out. They had had enough. They headed out of town via the Soran Road, a by road that would lead the convoy to Longford Town. However, this road was treacherous and it was not until 14.30 hours on 3rd November that the convoy finally returned to base. We held our positions and the coming daylight revealed a remarkable scene. About the area in which the lorries had been drawn up, were pools of blood, and strewn all over it were items of military equipment, revolvers, thousands of rounds of .303 ammunition. There were also boxes of chocolates, boxes of boot polish and every conceivable commodity all of which had been looted from shops in Granard. While Crown Forces refused to state how many of their men were killed and wounded during the engagement, Irish Volunteer forces suffered no casualties. Commandant Séan Mac Eoin had deployed his men with brilliant tactical nous resulting in the defeat of a larger enemy force and the protection of the village of Ballinalee, County Longford., the only such action during the Irish War for Independence.